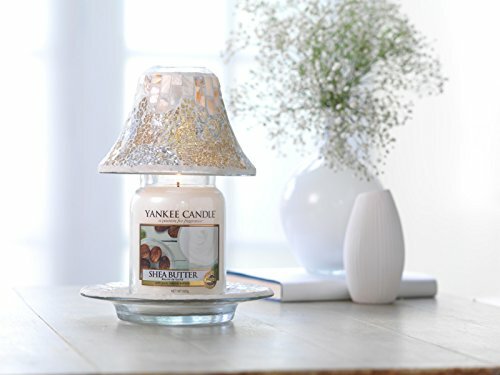 Yankee Candles are notorious for their authentic, true-to-life fragrances for our sensory enjoyment, with beautiful long lasting scents that will help make your home feel warm and inviting. 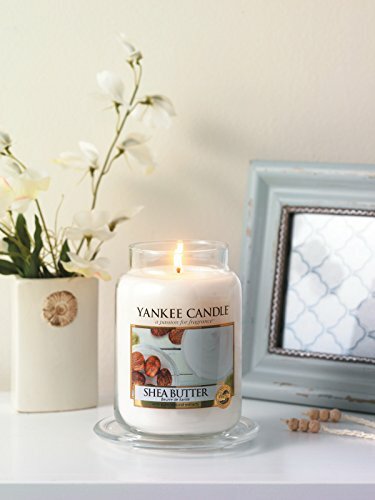 Blended with the perfect amount of fragrance oil, in this instance shea butter – creamy smooth scent with hints of beautiful fruit blossoms. 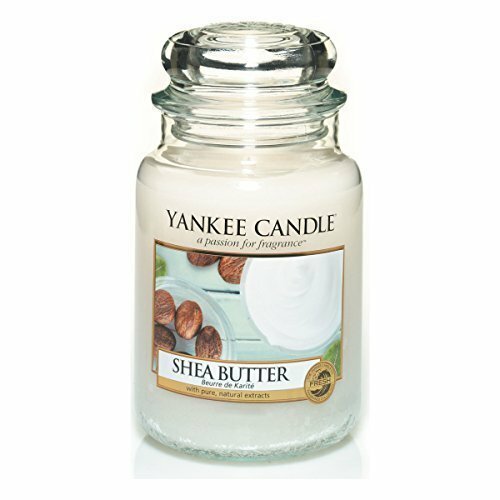 Made from soy wax and weighing in at a hefty 566g this large jar Yankee Candle will provide up to 150 hours of burn time. 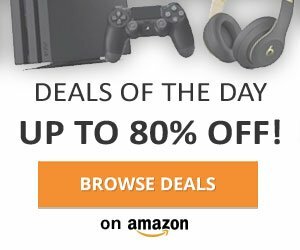 Complete with the signature Yankee Candle classic jar that has a removable label giving it true decorating versatility, a perfect gift for any home.